Innovative speaker, teacher, and best-selling author, Carol Tuttle is highly regarded for her ability to help people rediscover who they truly are. Her notable career in personal development has spanned over 20 years, touching millions of lives in more than 80 countries. Through her books and life-changing online instructional programs, Carol teaches her personal assessment program, Energy Profiling. This useful and groundbreaking program helps employees understand co-workers, parents understand children, and people everywhere understand themselves. Utilized and praised by professionals and parents alike, Energy Profiling facilitates rapid self-understanding and creates cooperation in teams, organizations, and important relationships. Audiences who experience Carol’s presentations and courses gain greater personal confidence, renewed life perspective, and practical skills to achieve success within their organizations, as well as every aspect of their lives. Carol resides in the mountains of Utah with Jonathan, her husband of 36 years. They are the parents of five and grandparents of eight. By booking Carol Tuttle, you’ll create a life-changing event for your attendees. Carol Tuttle brings over 20 years of experience to the stage. With a dynamic presence and keen insight into human nature, Carol will both enlighten and entertain your audience, while giving them practical skills to be more successful in all areas of life. 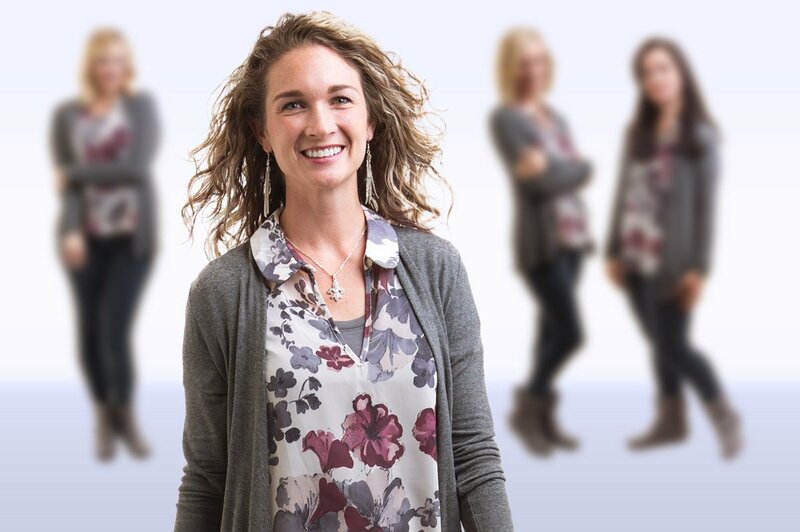 Carol’s innovative Energy Profiling program helps people understand themselves and others clearly, creating greater unity, productivity, cooperation, and growth. She customizes her message to her audience, so her presentation will be perfect for your event’s needs, whether you’re planning a business convention, relationship seminar, parenting or education conference, or other important gathering. Which of Carol’s topics is perfect for your event? In the business world, working effectively with different types of people is key. Your interactions not only affect your day-to-day life, but can determine your ultimate, long-term success. So how do you work effectively with all different people? More importantly, how can you make it easier for people to interact with you? While numerous personality tests used in the business world have proven overly complicated and ineffective, Carol Tuttle’s Energy Profiling system offers a simple and practical alternative. 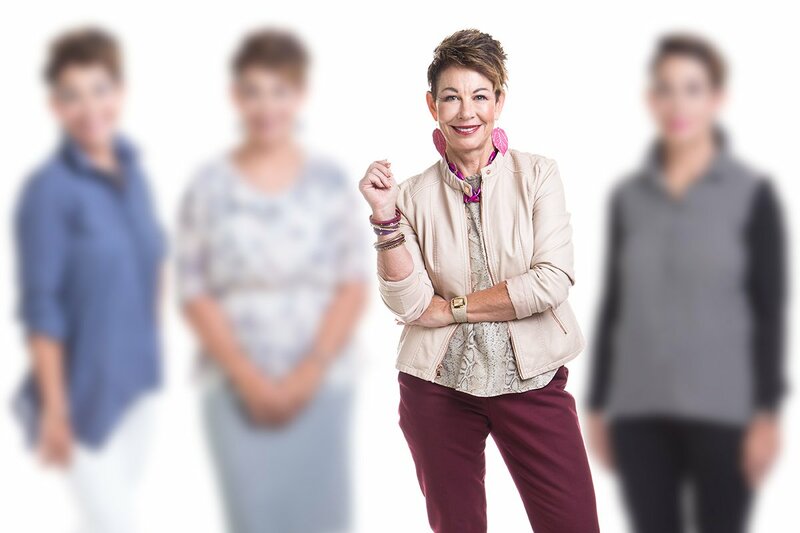 Pulling back the curtain on her audience’s personal strengths and challenges, Carol helps people reach their full potential and approach others in a way that brings everyone more success. Anyone who works with children will agree: no two kids are exactly alike. What works for one backfires for another. So a one-size-fits-all approach won’t work. Carol’s enlightening Child Whisperer method helps your audience customize their approach to each child in their life to enjoy more cooperation and joy—with less discipline. Shining a surprising light on the unspoken clues that children give every minute of the day, Carol shows how each child’s tantrums, rebellions, friendships, and joys reveal who they truly are. Carol’s easy-to-apply approach eliminates conflict quickly and brings out children’s natural desire for cooperation for parents, educators, and anyone who works with children. Writing the book Remembering Wholeness was a personal turning point in Carol Tuttle’s life—and it can be a turning point for attendees at your event. By showing them how to take ownership of their choices, Carol helps audiences feel a renewed sense of power and purpose in their own lives. Carol practices the principles she teaches to create a thriving life, so she speaks from personal experience. 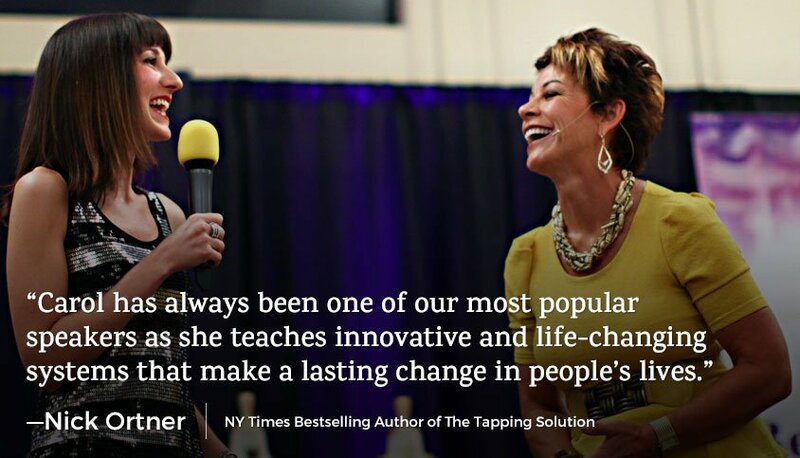 Her unique and inspiring perspective will help your attendees recognize their own strength, tap into their personal passion, and connect with their life’s meaning. After struggling with body image issues for decades, Carol made some surprising beauty breakthroughs. Her biggest discovery? Each woman is uniquely beautiful, but she judges herself as flawed when she doesn’t look good in styles that conflict with her natural beauty. Carol peels back the layers of shame that women experience about their bodies and appearance, freeing women to love themselves. She helps them rediscover their natural beauty by sharing 4 Types of beauty that women naturally express. Audiences who hear this presentation embrace their true beauty (inside and out), jumpstarting a powerful change that can last the rest of their lives. Carol Tuttle has developed a unique and empowering system that has helped thousands of people all over the world identify who they really are and what their specific nature is. And then live it on purpose. This work is life-changing, magical, fun, and practical. Carol’s approach to the area of fashion and clothing, for instance, has been life-changing for many, including me, saving us loads of time, money, and worry when shopping, packing, or preparing for a special event. And that is just one of her many talents and areas of influence. 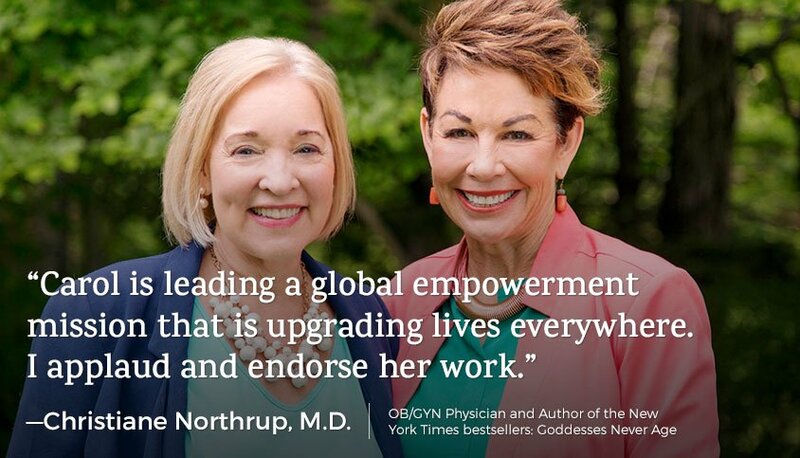 Carol is leading a global empowerment mission that is upgrading lives everywhere. I applaud and endorse her work. 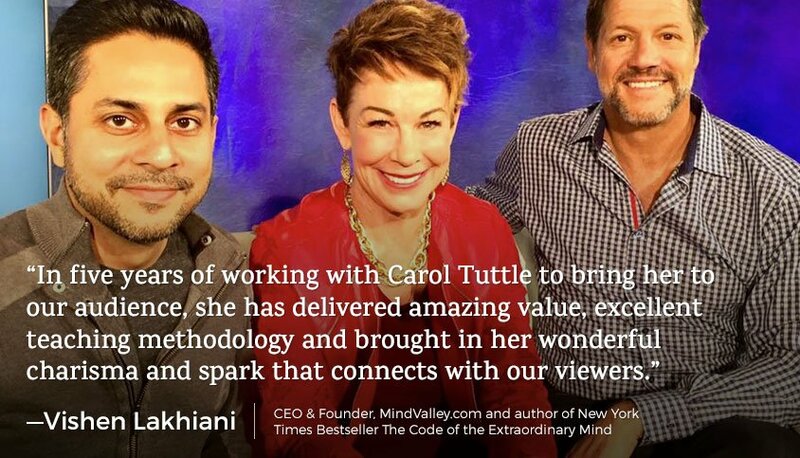 In five years of working with Carol Tuttle to bring her to our audience, she has delivered amazing value, excellent teaching methodology and brought in her wonderful charisma and spark that connects with our viewers. For the last 8 years Carol has made a significant contribution to the millions of people who have attended our annual Tapping World Summit event. Carol has always been one of our most popular speakers as she teaches innovative and life-changing systems that make a lasting change in people’s lives. It’s been fantastic to work with Carol. 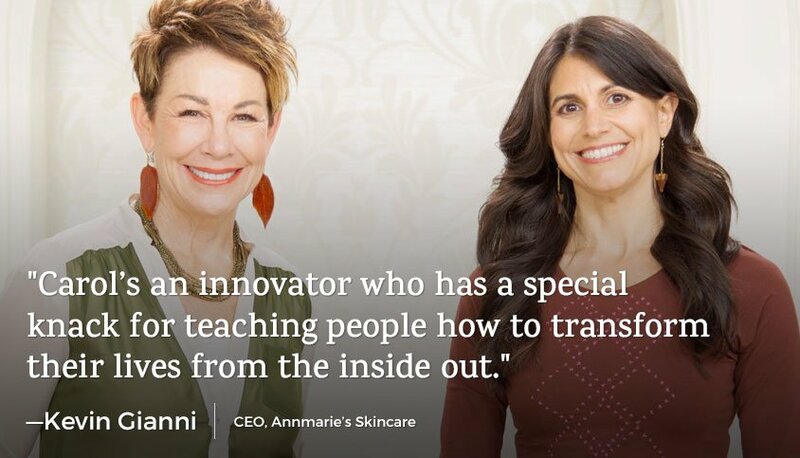 She’s an innovator who has a special knack for teaching people how to transform their lives from the inside out. Her Dressing Your Truth program has not only been a hit with our customers, but it’s also influenced many of the people on our team to help transform how they show up in the world. We look forward to continuing to work with her and her awesome team to make even a bigger impact as the years go by. Learning about Carol Tuttle four years ago has changed my life for the better, both personally and professionally. I have been so much happier, successful and more content in my life since then. Carol Tuttle’s Energy Profiling system has also been of tremendous use in my profession as a Clinical Child Psychologist. I have always considered children’s natural temperamental styles in my work, but after learning about the four Energy Types I have been able to more easily identify and understand each child’s basic temperament and use this to inform my work. Carol Tuttle’s program of Energy Profiling is a wonderful tool and it has been a great blessing in my life. I am so grateful to her for developing and sharing this understanding of human nature with the world. Thank you! The magnitude of Carol Tuttle’s influence in my life for understanding and appreciating humankind is richter-scale shattering. 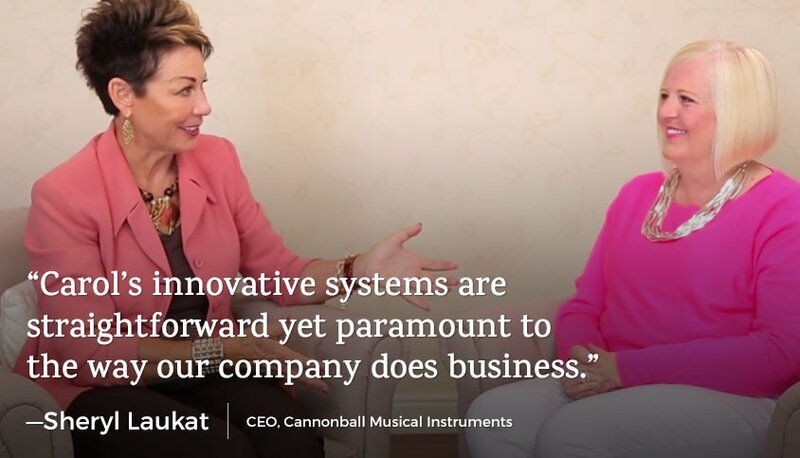 Her innovative systems are straightforward yet paramount to the way our company does business. Not only has each of us become unquestionably aware of our own unique gifts, but we have also developed a remarkable understanding of how to best work with each other and our customers all over the world. 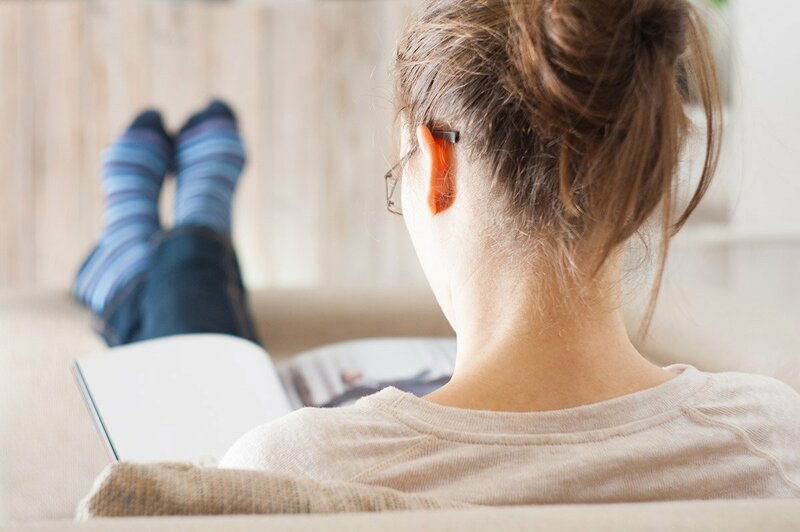 Carol’s ability to positively transform us through her books, online teachings, and programs, has expanded our knowledge in a huge way creating lasting results our company uses every day. I’ve enjoyed watching Carol’s rise, over the years, and her passion for empowering women to step into their power, and heal from trauma, in her great body of work that has impacted my life for the better. I’ve learned so much from her and feel so much more natural and impactful now that I’m flowing with, instead of fighting, my own nature! Let’s talk about how Carol Tuttle can make your event memorable!